Protection on the back of both hands. 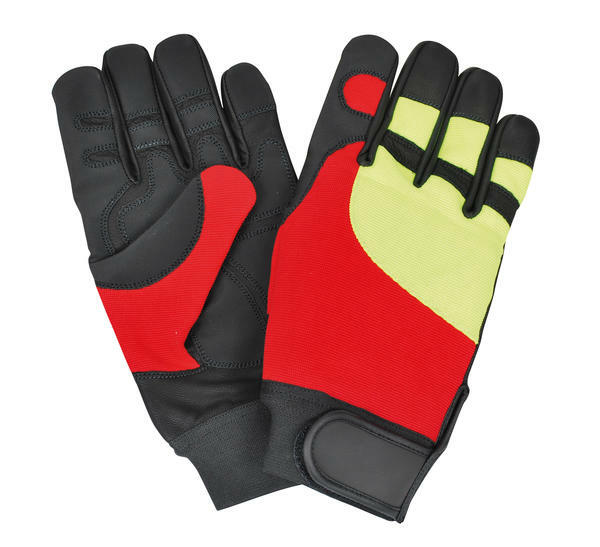 Material: Leather palm, polyester back red and yellow. Wrist closure elastic and Velcro. The benefits: protection left and right hand class 0 (16m / s).